Testing Solutions from IR Webinar – Read our customer’s successes! The system offers a built in Softswitch architecture for SIP and H.323 protocols. Contact Center Anywhere’s Voice Over Internet Protocol (VOIP) functionality incorporates the product’s unequalled standards of redundancy and flexibility. Flexible call routing allows a single contact center to have agents receive call on a variety of phone types, includeing H.323, SIP, analog and PBX extensions. In fact, Contact Center Anywhere’s Softswitch is able to bridge H.323 calls to SIP calls and vice versa. The Softswitch is also integrated with various third-party SIP or H.323 enabled IP phones. The system is compatible with most commercially available gateways, including Cisco, AudioCode and Quintum. In May 1996, with the ratification of the ITU-T H.323 protocol, the first standards-based Voice over IP (VoIP) technology was introduced. At this time the US FCC implemented the Telecom Act of 1996 for deregulation of data and telephony service providers for delivery of voice, video and data all together. The age of opportunity for converging IP services began! In 1998, with the release of H.323 version 2, more and more vendors built and deployed H.323-compliant interoperable devices. The popularity of the protocol increased and the H.323 population spread extensively around the globe. H.323 has continued to evolve as can be seen in the ratification of version 3 in 1999 and version 4 in November 2000. Although the IETF SIP protocol entered the market later, it was no ‘me too’ player. During 1999, the favorable reception of SIP began. Its apparent simplicity and Internet orientation resulted in quick acceptance and ever-increasing popularity among vendors and network operators alike. Looking at IP networks and VoIP, in particular, it is clear that both protocols – SIP and H.323 – are widely deployed and here to stay. For carriers wishing to provide global VoIP services, the interconnection of these disparate networks into a unified VoIP network is an urgent and high priority. The SIP-H.323 InterWorking Function (IWF) has been defined as a logical entity that allows the interworking between the SIP and H.323 protocols. This includes call sequence mapping, message parameter mapping, translation between H.245 and SDP, state machines, and the handling of different call procedures. This paper looks at the issues and challenges of the IWF and presents a number of approaches for achieving the necessary functionality. H.323 and SIP Market Acceptance VoIP promises a significant business potential as a cost-effective alternative to legacy telephony. VoIP is about six times more efficient in carrier bandwidth consumption than legacy telephony and offers voice services as well as a rich suite of multiple IP-based value-added services. These services include advanced supplementary services, real-time video, real-time fax, application data exchange, presence and instant messaging. Development and deployment of the VoIP protocols – SIP and H.323 – continues. Indications are that both H.323 and SIP markets are quite active. A recent survey1 shows that about 50% of VoIP vendors will continue to support H.323 product lines, while 76% will support SIP. H.323 is the accepted legacy protocol. Today, H.323 is the most widely deployed standard for VoIP and is supported by a global coalition of companies working in a joint effort to provide interoperability. Because of ongoing, market-related development, H.323 vendors have added capabilities to their products enabling service providers to enhance their service offerings. SIP is an emerging signaling protocol, designed initially for Voice over IP (VoIP) applications, and was particularly successful in carrier class networks. The popularity of SIP has gained momentum and is seen to be making inroads into H.323 territory. Many major vendors and carriers currently support or plan to support SIP. PacketCable (DCS), the International Softswitch Consortium, 3GPP and 3GPP2 have selected SIP. The indications are that H.323 and SIP are here to stay. However, if VoIP is to continue gaining ground and to become a global reality, ways will have to be found for these VoIP protocols to coexist. Providers of IP networks, devices and services realize that people wish to communicate with each other irrespective of the “protocol religion” practiced on their IP network! A key to the future growth of IP Centric Conferencing is the interworking of IP protocols allowing a seamless, end-toend connectivity between all types of endpoint and network devices. The main goal for the near future is to provide a bridge between H.323-oriented enterprises and SIP-oriented Service Providers. Before a “perfect”, end-to-end, seamless interworking network can be achieved, issues relating to infrastructure and feature matching need to be resolved. However, it is possible to provide an interworking solution supporting most features that are deployed today. Interworking can be achieved via multi-protocol endpoints (such as IP Phones that support both SIP and H.323) or via network bridging entities (such as Softswitches or Signaling Gateways). As mentioned, there are currently two standards for signaling and control of VoIP-the ITU-T Recommendation H.323 and the IETF Session Initiation Protocol (SIP). This section provides a brief introduction to the ITU-T H.323 Recommendation and the IETF Session Initiation Protocol (SIP) with a focus on those parts of the protocols relating to interworking. H.323 Terminals-endpoints that enable real-time voice or video communications with other H.323 terminals, gateways or MCUs on the network. MCU/MC/MPs-Multipoint Controller Units, which include a Multipoint Controller (MC) and one or several Multipoint Processors (MPs), that enable managed multipoint conferences. The MC rules as the “brain” of the multipoint conference and generates commands to MPs to handle mixing and matching of multimedia streams between participants. Gateways-devices that allow intercommunication between IP networks and legacy Switched Circuit Networks (SCNs), such as ISDN and PSTN. They provide signaling mapping as well as transcoding facilities. For example, Gateways receive an H.320 stream from an ISDN line and converted it to an H.323 stream and then send it to the IP network. Gatekeepers-perform the role of the central “managers” of VoIP services to the endpoints. Mandatory functionality includes address resolution (aliases to IP address mapping), authentication and service authorization. In addition, gatekeepers may offer an array of services such as CDR generation (service accounting for billing), supplementary services (such as call forward, diversion and park and pick-up) and dialing plans. Gatekeepers commonly use LDAP and DNS technologies to achieve their required functionality. H.225.0 (comprising RAS, Q.931 and RTP/RTCP) for gatekeeper management services, connection, setup, media transport and resource access. H.245 for call control and capability negotiation. H.450.x for supplementary services such as call transfer, forwarding, call offering, call intrusion and more. H.323 protocols are above the transport layer. In theory, H.323 is transport-independent but in practice, RAS runs over UDP, RTP/RTCP runs over UDP or ATM (AAL2, AAL5) and other protocols run over TCP and UDP (Annex E). SCTP is planned for the near future. All of the above-mentioned H.323 protocols (except RTP/RTCP) use a binary encoded (ASN.1) syntax. The IETF Session Initiation Protocol (SIP), published as RFC2543, is a signaling protocol for initiating, managing and terminating voice sessions across packet networks. SIP sessions involve one or more participants. SIP supports unicast or multicast communication. Borrowing from ubiquitous Internet protocols, such as HTTP, SIP is text-encoded and highly extensible. SIP may be extended to accommodate features and services such as call control services, presence, instant messages, mobility and interoperability with existing telephony systems. User Agent—in SIP, a User Agent (UA) is the endpoint entity. User Agents initiate and terminate sessions by exchanging requests and responses. RFC2543 defines the User Agent as an application, which contains both a User Agent client and User Agent server. Devices that could have a UA function in a SIP network are workstations, IP-phones, telephony gateways, call agents, automated answering services and many more. Proxy Server—an intermediary entity that acts as both a server and a client for the purpose of making requests on behalf of other clients. Requests are serviced either internally or by passing them on to other servers, possibly after translation. A Proxy interprets, and, if necessary, rewrites a request message before forwarding it. Redirect Server—a server that accepts a SIP request, maps the SIP address of the called party into zero (if there is no known address) or more new addresses and returns them to the client. Unlike Proxy servers, Redirect Servers do not pass the request on to other servers. Registrar—a server that accepts REGISTER requests for the purpose of updating a location database with the contact information of the user specified in the request. SIP has one protocol format for all actions, such as Registration, Call Control, and Presence. SIP uses SDP as a media description language and RTP/RTCP as a real-time transport protocol for media, as does H.323. SIP is above the transport layer. In theory, it is transport-independent but in practice it uses UDP and TCP with plans to run over SCTP in the near future. RTP/RTCP runs over UDP or ATM (AAL2, AAL5). SIP syntax is in text format. The most essential part of the IWF is to support basic call establishment between a SIP User Agent and an H.323 endpoint. Figure 3 illustrates a typical call flow for a basic call where the source is in the H.323 network and the destination is in the SIP network. Figure 4 illustrates a typical call flow for a basic call, where the source is in the SIP network and the destination is in the H.323 network. The IETF has begun work on defining a standard for a SIP to H.323 Interworking Function. In July 2001, the SIP-H.323 Interworking Working task group within the SIP working group of the Internet Engineering Task Force (IETF) released a draft for SIP-H.323 Interworking (draft-agrawal-siph323-interworking-01.txt). Although it is not yet finalized as a standard, the draft is in an advanced stage. In addition there is an active interworking discussion group located at: http://groups.yahoo.com/group/sip-h323. The IETF draft defines a logical entity known as the SIP-H.323 Interworking Function (SIP-H.323 IWF) that allows interworking between SIP and the H.323 protocol. The document specifies call sequence mapping, message parameter mapping, translation between H.245 and SDP, state machines, and handling of various call procedures. Note: The draft relates to H.323 Version 2 and SIP bis 2. The type of network and the services that are required will determine where the IWF is placed in the network. This section examines ways of placing the IWF in the network. The main functionality of the IWF can be decomposed into user registration, address translation, establishment of call connect, and service provision. This functionality can be implemented as part of a VoIP network server such as an H.323 Gatekeeper, a SIP Proxy, or a Softswitch, which might include a gatekeeper and SIP Proxy or B2B User Agent. Or, the functionality can be implemented via an external SIP-H.323 signaling gateway. In this implementation, the IWF is incorporated in a Softswitch on the edge of the Service Provider’s IP network. In the topology in Figure 5, a SIP enterprise network and an H.323 enterprise network are connected to the Service Provider’s IP network. The objective of this implementation is to bridge IP and PSTN as well as to deliver add-on services from the same Softswitch. Functionality is thus quite complex. A further objective is for the implementation to be carrier-grade and this requires high capacity and redundancy capabilities. To achieve the objective requires a considerable R&D effort and long development and testing cycle. The solution would probably come with a high price tag. In this implementation, the IWF is placed at the edge of the Service Provider’s network. The objective of this implementation is to provide H.323-SIP call-signaling bridging without add-on services. Functionality is thus relatively simple. However, to support a large number of subscribers and maximize availability of service, a carrier-grade system with high capacity and redundancy capabilities is required. To achieve these objectives requires a moderate R&D effort and relatively short development and testing cycle. The solution would probably come with a medium price tag. In this implementation, the IWF is placed at the edge of the enterprise network. The objective of this implementation is to provide only H.323-SIP call-signaling bridging without add-on services, and with low-capacity requirements. To achieve this objective requires a minimal R&D effort and very short development and testing cycle. The solution would probably come with a low price tag. In this overview we presented the concepts and requirements of a SIP-H.323 IWF as well as implementation possibilities. The quest for a cost-effective IWF solution has begun. Both Service Providers and enterprises will soon require a suitable solution for the evolving multi VoIP protocols reality. Finding the best solution is not a trivial task, as several issues are involved. Some of the issues relate to market forecasts. As the VoIP market grows and changes, these forecasts may be pure guesswork. The fundamental issue is what will happen to the market. Will and when will VoIP become a mass market? What will the ratio of market acceptance between SIP and H.323 be in the future? Founded in 2001, Promero www.promero.com is a Certified Partner in the Oracle Partner Network and is a leading application service provider of Internet-based call center, CRM and lead management software. 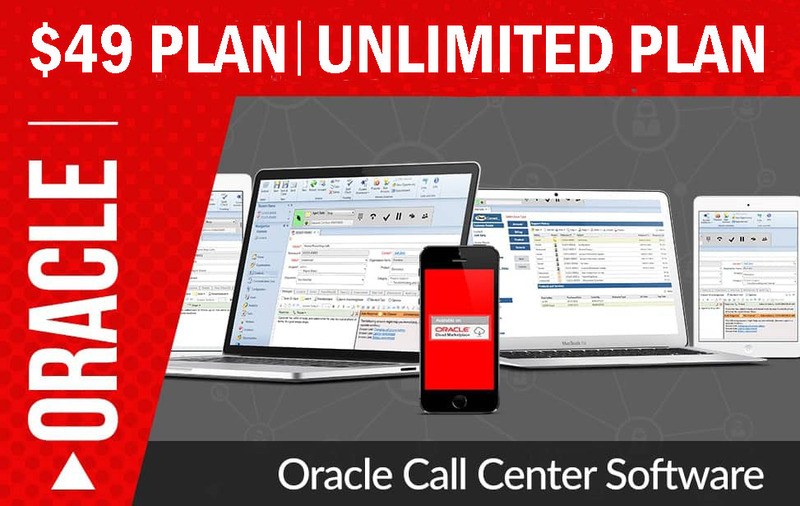 Promero’s products include Oracle’s Contact Center Anywhere [a hosted virtual call center/predictive dialer software], ProStar CRM, Smart8 Call Routing and ProStar Lead Manager. Founded in 2001, Promero is an expert in call center software. Promero sells, supports, hosts and provides professional services for the industry's best cloud center software. 2001-2017 © Copyright Promero Inc. All Rights Reserved.